Cardiac marker analyzer is used for high point-of-care testing in the diagnosis of heart diseases. Some of the heart diseases for which cardiac marker analyzer is used are myocardial infarction and angina pectoris. The report serves as a valuable guide for its readers. 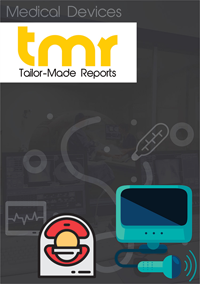 It provides an in-depth analysis of the cardiac marker analyzer market with a focus on market dynamics, segmentation, and competitive landscape. Globally, the increasing incidence of cardiovascular diseases is the foremost factor fueling the global cardiac marker analyzer market. At present, globally, the number of patients of cardiac diseases is approximately 26 million. As per statistics of the World Health Organization (WHO), 17.7 million deaths are related to cardiovascular diseases. In the U.S., the prevalence of angina pectoris is 4.5% and prevalence of myocardial infarction is 3.3%. Cardiac marker analyzer offers advantage of real-time test results which helps in timely diagnosis and effective disease management. Apart from this, rising geriatric population globally is another key factor driving the cardiac maker analyzer market. According to statistics of the National Institute of Health, in 2016, 8.5% of the world’s population was above the age of 65 years. This population is vulnerable to cardiac conditions due to old age, or as a secondary condition because of some primary health condition. The rising obesity globally is also a risk factor of cardiovascular conditions. This stokes demand for cardiac maker analyzer for point-of-care testing. According to statistics of the WHO, the obese population globally has doubled in the last two decades. Obesity is associated with a number of cardiovascular diseases such as angina pectoris, congestive heart failure, and myocardial infarction. Lastly, the adoption of technology in healthcare is serving to boost the cardiac marker analyzer market. Today, modern healthcare comprises state-of-the-art infrastructure and employs hi-tech devices to render highest quality of care. Favorable medical reimbursement policies and continual product advancement are further aiding the growth of cardiac marker analyzer market. On the flip side, high cost factor and lack of patient awareness for hi-tech testing devices is slowing the growth of cardiac marker analyzer market. The key regions into which the global cardiac marker analyzer market could be divided are North America, Asia Pacific, Europe, Latin America, and the Middle East and Africa. Of them, North America is a prominent market for cardiac marker analyzers. An ultra-modern healthcare system and high patient awareness for advanced medicine are key factors behind the growth of this region. Asia Pacific is predicted to emerge as a key market for cardiac maker analyzer. Massive economic growth in the emerging economies of the region has led to modernization of healthcare services. Healthcare practices in emerging economies has been witnessing an overhaul over the past few years. Changing lifestyle leading to heightened incidence of cardiovascular diseases, and increasing demand for modern medicine are fueling the cardiac marker analyzer market in the region. Key companies operating in the global cardiac marker analyzer are Abbott Laboratories, F. Hoffmann- La Roche Ltd., Creative Diagnostics, Radiometer Medical Aps, Mitsubishi Chemical Europe GmbH, Beckman Coulter Inc., Siemens AG, Quidel Corporation, and Boditech Med Inc. Key players in this market are employing inorganic growth strategies to garner higher market share.